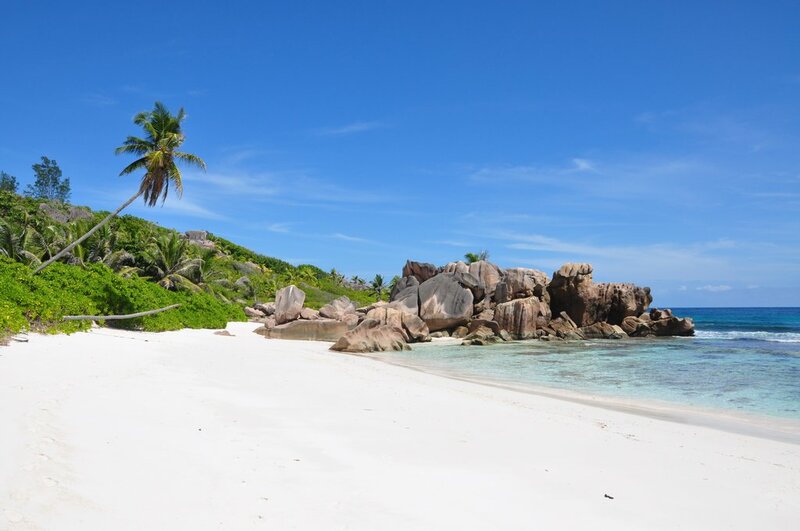 Anse Intendance, found on Mahé Island, is one of the most unspoilt beaches in the Seychelles. Over a kilometre long, it offers up some fantastic photo opportunities and surfing, although swimming can be difficult in the rough waves. If you visit between October and February, you might even be lucky enough to spot some turtle hatchings. Beau Vallon, also on Mahé Island, is known more for its water sports and people-watching than its beauty. With lots of nearby hotels and restaurants, this makes for one of the livelier spots on the islands, and nothing beats watching the sunset with a cool drink in hand. 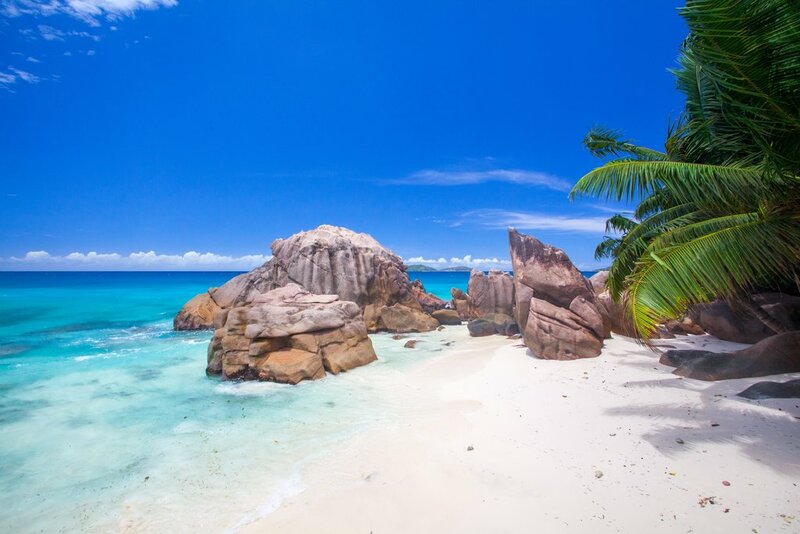 Anse Source D'Argent, found on La Digue Island, is often listed on lists of the most beautiful beaches around the world. If that alone doesn't make you want to visit, the beach is surrounded by stunning pink rocks, talcum-soft sand, and water so turquoise you might think you're dreaming. 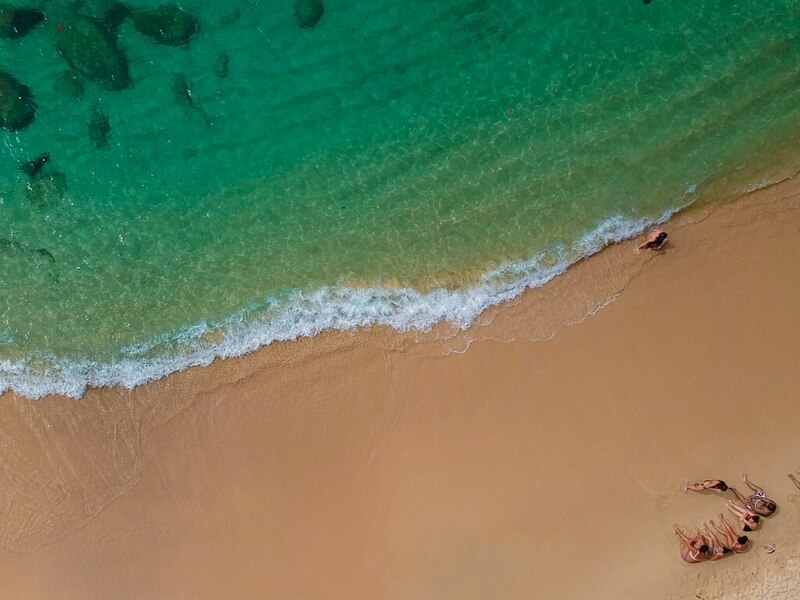 Though it's not great for swimming, it's perfect for budding photographers and those who love to walk with the waves at their feet. Also found on La Digue, these sister beaches - they're right next to one another - are equally stunning. Found just next to Grand Anse beach (which is also worth a visit, and popular with tourists), these beaches are a great way to find a slice of heaven just for yourself. You have to hike to Petite Anse from Grand Anse, which thins out the crowds, and then hike again to Anse Cocos, which means that, if you're lucky, you might just have a private beach. Think lush green trees, azure waters, and a gentle ocean breeze. Anse Lazio, found on Praslin Island, is popular with tourists, and for good reason: it is not only extremely photogenic, but it's great for swimming and snorkelling. With lots of shade provided by the Takamaka trees, this is the perfect place to relax for a day (or three). Also found on Praslin Island, Anse Volbert is yet another stunning beach, with a long sweep of powder-white sand that's perfect for lounging in the sun or shade all day. It's also very good for swimming and snorkelling, and it has a lot of facilities (including places to eat) nearby. What's your favourite beach in the Seychelles? Deposit of 50% is payable for all booking from the 22 December until 15 January. To complete the reservation process and obtain additional information, please contact the office using the information on the reservation confirmation received after booking. Book a stay in a Half Board rate plan and receive dinner and breakfast for each night of stay per registered adult. Must book a Half Board rate plan to qualify. Not valid with any other offer. Gratuity may not be included. Offer subject to availability. Restrictions may apply. The city tax will be collected directly at the property upon arrival. The tax applies up to a maximum of 7 nights per stay. This Glacis hotel is on the beach, 1.6 mi (2.6 km) from Beau Vallon Beach, and within 9 mi (15 km) of North East Point Beach and Stade Linite. Grand Anse Beach and Barbarons Beach are also within 12 mi (20 km). Nestled on the beach, this Mahe Island resort is within 1 mi (2 km) of Barbarons Beach and Grand Anse Beach. La Mouche Beach and Anse Aux Pins Beach are also within 9 mi (15 km). Offering direct access to the beach, this Anse Royale guesthouse is within 3 mi (5 km) of Anse Royal Beach, La Mouche Beach, and Anse Aux Pins Beach. La Plaine St. Andre is 1.6 mi (2.6 km) away. This family-friendly Anse Royale aparthotel is located near the airport, within 2 mi (3 km) of Anse Royal Beach and La Plaine St. Andre. La Mouche Beach and Anse Aux Pins Beach are also within 3 mi (5 km).